Delhi Capitals skipper Shreyash Iyer expressed his disappointment over the defeat against Punjab in the match 13 of the Indian Premier League in Mohali on Monday. 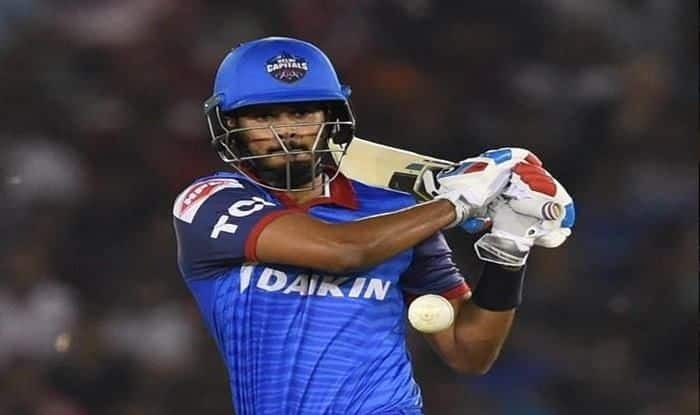 Delhi Capitals captain Shreyas Iyer expressed his disappointment with his side’s performance and said that he was “speechless” after his team lost seven wickets for eight runs in their 14-run defeat to Kings XI Punjab in an IPL encounter in Mohali on Monday. Punjab’s costliest buy Sam Curran proved his worth with an incredible spell at the back end as the home team pulled off a miraculous 14-run victory against Delhi Capitals left stunned by an inexplicable batting collapse in Monday’s IPL encounter. KXIP’s ‘million dollar man’ Curran picked up 4 for 11 in 2.2 overs including a hat-trick and was ably supported by Mohammed Shami as Delhi Capitals were shot out for 152 in 19.2 overs in pursuit of 167. “Not may times, you defend. When Rishabh hit the six, we just needed to hang in there. Credit to Shami and Curran. We were probably 25 runs short. We backed ourselves to defend with three spinners. From 144 for 3, Delhi lost their last seven wickets for 8 runs, something that will haunt them for days to come especially after Rishabh Pant and Colin Ingram set up what looked like an easy win. Pant muscled a couple of sixes into deep mid-wicket stand during 39 off 26 balls as Ingram (38 off 29 balls) bisected the off-side field with some precision cut shots during their stand of 62 in 6.5 overs that took Capitals closer to victory. However, there were more twists and turns than what Capitals had thought. In a space of 9 deliveries, Capitals lost 4 wickets for only 4 runs. From 144 for 3, they were in a precarious position at 147 for 7. The ball also started reversing more and DC’s lower-middle was incapable of handling the movement in the air which resulted in them losing in the match.